TAB Austria make this sleek-looking virtual pin cab. I’ve never seen one in action until now. 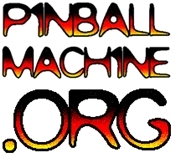 In addition to pinball games, it also plays some other titles using the trackball.